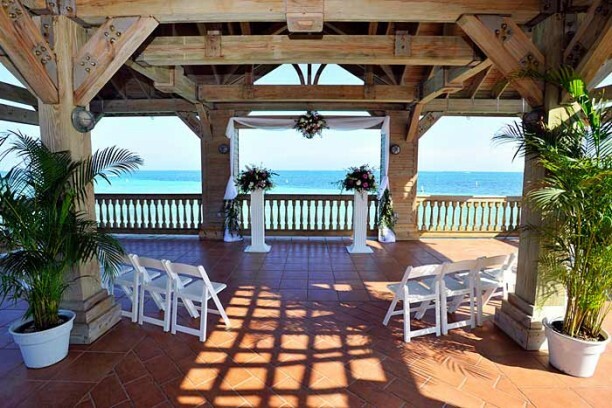 Key West is one of the most popular locations for destination weddings in the world. From beaches to boats, private gardens or large luxury resort settings, Key West offers locations for intimate weddings of just 2 or a grand affair of 200 or more. Several local wedding planners are available to assist you with all of your destination wedding needs. Just to name a few, The Hip Tourist , Key West Casual Weddings, and We’ve Got the Keys can take the stress out of planning your Key West Wedding. And remember, Suite Dreams Inn by the beach is available to host your entire wedding party and can sleep up to 22 guests. Our Inn is also suitable for your wedding ceremony itself, with romantic garden settings, waterfalls, lagoon pools, dance floors, oversized suites in case of inclement weather, and open common areas for your guests. Our venue can easily accommodate a wedding of 55 guests.